Welcome to part one of my little series of information about facial ageing and the visible changes we see as we grow older. This post will have a look at the signs of facial ageing in each decade with some information as to how we can combat these changes. My next post will look at the individual layers of the skin and the underlying supportive structures in more detail. Education is the key to anti-ageing and preventative skin care. So what actually happens to our face when we age? The facial ageing process begins with changes to the skin, soft tissues (fat, muscle, ligaments) and bones which act as structural support. These facial layers all age independently and are affected by multiple different factors however they all act together in unison to determine the appearance of an individuals face as they grow older. 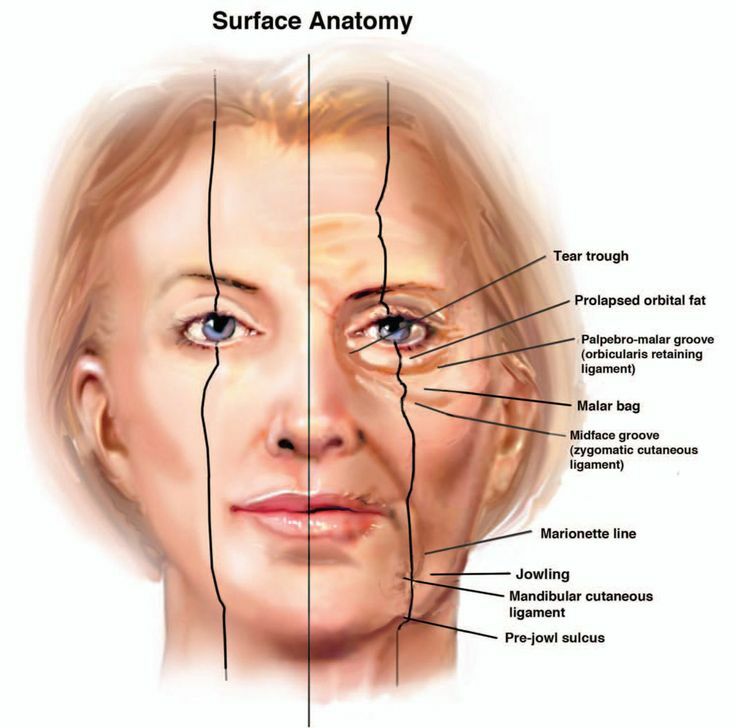 The major forces contributing to facial ageing include gravity, bony remodelling, fat loss and redistribution, hormonal changes, chronic sun exposure and smoking. Other environmental factors that also affect facial ageing include stress, poor diet, drug use and disease. So when do these changes occur and what visual changes will we see? Decreased bone density causing changes to supportive structures of the face. These procedures are used to resurface and modify the epidermis and dermis. They correct changes of photoageing, fine lines, pigmentation, acne and scarring. Common procedures include; Chemical peels, Hydrafacial (Microdermabrasion), Skin needling, BBL Laser rejuvenation. Injectables are a range of treatments that are administered by a Cosmetic Physician or nurse. Their main indication is for the treatment of lines, wrinkles and folds as well as volume restoration and contouring. The most common procedures include: Wrinkle Relaxers or anti-wrinkle injections and Dermal Fillers. Please see my pages on wrinkle relaxers and dermal fillers for more information. These treatments address a wider range of concerns however are invasive and have associated down time. They range from liposuction, fat transfer, face-life and augmentations. I hope this information was informative for you and offered some insight into what happens to your face over the years. Next post on its way - ageing and the skin part two.